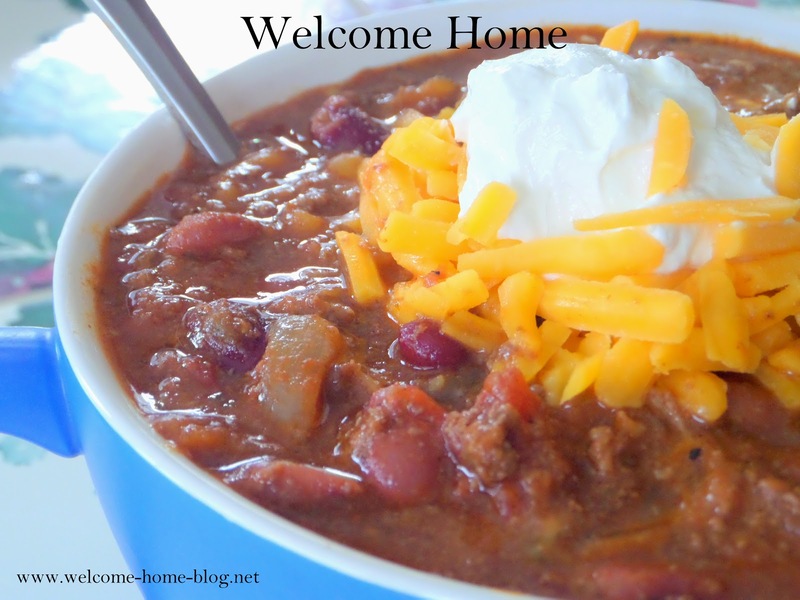 Who feels like a big old bowl of chili on this cold winter day? Lots of savory beef, slow cooked until tender and some beans...gotta have beans. Maybe top it with some cheddar cheese and sour cream and serve it with some homemade cornbread slathered in butter? Maybe sprinkle a few sweet onions on top too. Brown the ground beef in a skillet over medium heat, leaving the meat chunky as you break it up. Drain off extra fat. In a large dutch oven combine the beef plus all the remaining ingredients and bring to a boil. Turn down the heat to a slow simmer and cover. Cook for 3 hours, stirring about every 20 minutes or so to blend well. You can also do this in a crockpot and cook it on low for about 5 hours. Serve topped with shredded cheddar cheese and a dollop of sour cream. You can also top it with chopped sweet onion or thinly sliced scallions. Want a kick? Like it hot and spicy? 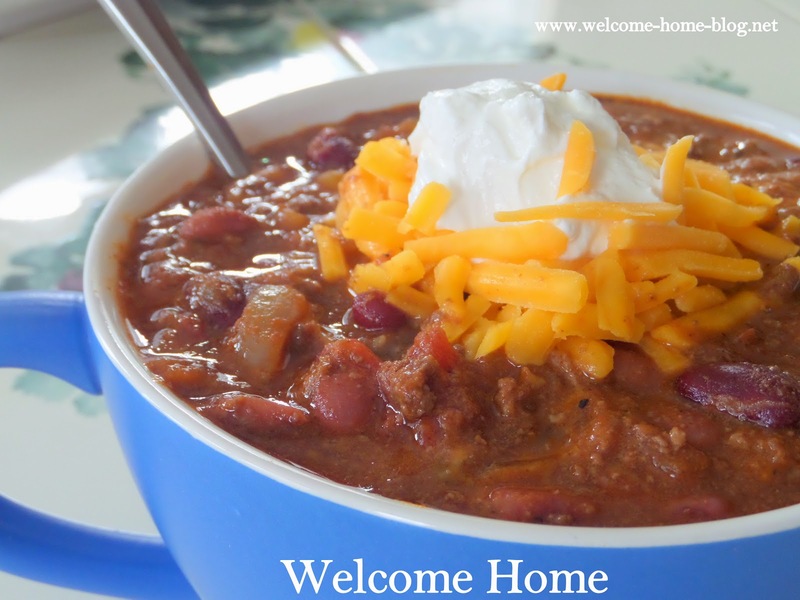 Add some hot sauce, cayenne or red pepper flakes to your chili. You can also add some chili peppers or jalapenos ....it's all in how hot you like it! this looks so good on this bitterly cold day. This looks so good especially on this bitterly cold day. This sounds like something that needs to meet my crockpot!! Pinned it! !